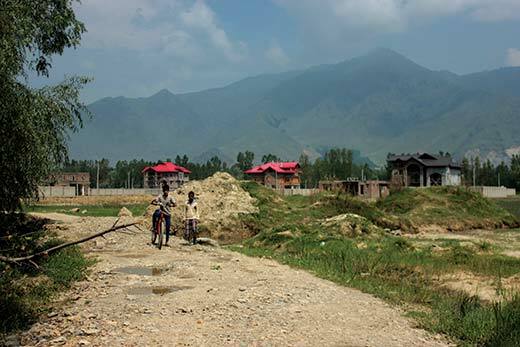 Pampore, the land of Karewas has become the embedded photograph of the stretch of the furrowed lands, which fluctuate from the somber mauve-ish lavender coloured saffron bulbs to the brown stretch of this highly fertilized soil. The town was once famous for its beautiful Karewas known for growing world’s finest saffron. Two decades back, a person walking through Pampore town in October was welcomed by a large unending carpet of violet and indigo. And the aroma of saffron bulbs that grew on these Karewas would sooth ones senses in a jiffy. It was indeed a postcard perfect picture of a land many believed was blessed. But last two decades have changed the topography of this town completely. There are hardly any Karewas left. And the ones that are there are being bulldozed day-in and day-out, ruthlessly by avaricious souls. So, even the famous King Jahangir visiting the town on full moon October nights to enjoy the scenic beauty of Pampore seems surreal. The town was distinctive in every way. 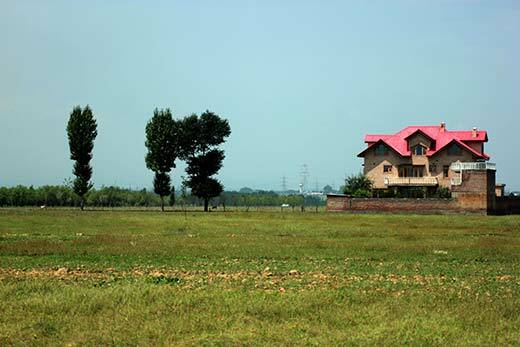 Located on the banks of River Jhelum, Pampore had everything, from large Karewas that grew saffron to vast paddy fields dotting the landscape. The town was in total sync with nature. 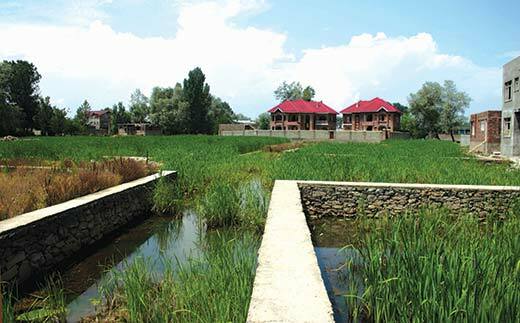 Now the first thing that catches your eye in Pampore is large holes dug deep into the Karewas. 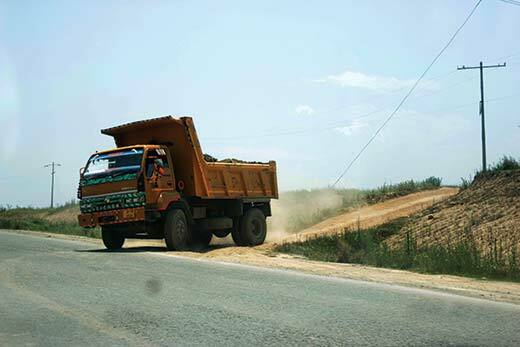 An unending convoy of big dumper trucks carrying precious saffron soil that they dump at construction sites across the state. It pains to see state administration watching this vandalization with muted amazement. Perhaps they don’t care much about heritage. They are only concerned about maintaining law and order! As you walk past Sone-krend (golden Karewas), once famous for its finest quality soil, you will see how humans have tore right through the heart of these Karewas. Ugly brick and mortar structures greet you. 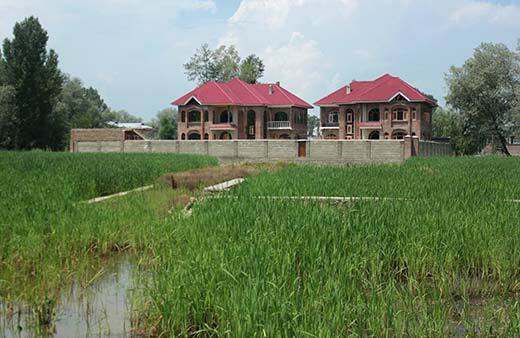 Rather remind you that the Karewas you are looking for are long converted into residential plots. 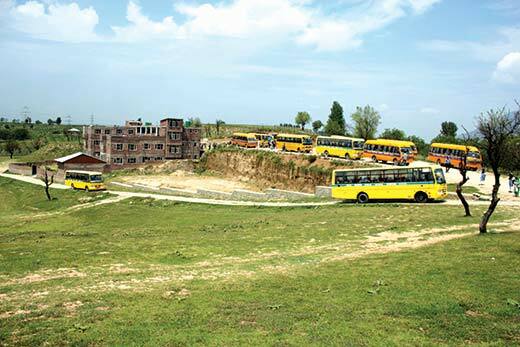 There is even an entire residential settlement raised on the saffron fields named unashamedly ‘Saffron Colony’. There is even a school, a degree college, and many other structures on what once used to be saffron fields near Konibal and Krunch villages. Heartbroken, I decided to move on towards my next stop: a once beautiful swath of paddy fields that used to be delight of travelers visiting Meaj village. 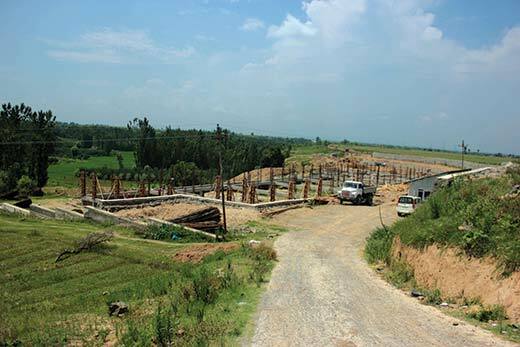 It is said that with local municipality official’s blessings more than a dozen residential houses have come up on this prime agriculture land. It looks like somebody had spoiled a beautiful canvas with harsh stokes. As the sun started to set on the horizon concealing the vandalization that humans have done over past two decades, I decided to make my way home. All the way back home I was thinking, will there be any saffron land left after, say 20 years? Not to forget the fading of these karewas into a long forgotten residue of memories alive in the decomposing bodies – of which, what remains, would be its epitaph, the tombstone in shape of the urban sprawl smeared across the face of these stretches of land.